Netway Review 2019: Is Netway a Good Hosting? Netway offers a range of services including shared, basic VPS, cloud VPS, and managed dedicated server hosting. With their innovative technology and expansive infrastructure, they’re one of the top hosting providers in Thailand. If you live in Thailand and are familiar with the web hosting industry, you may have heard of Netway Communication Co. This Bangkok-based hosting provider has been in operation since 1996 and stands out from the competition with their innovative technology and expansive infrastructure. Netway offers a range of services, including shared, basic VPS, cloud VPS, and managed dedicated server hosting. Netway owns and operates their own data center, which is located in Bangkok. From this data center, they offer shared, reseller, and dedicated server hosting. They also include one-click installations of about two dozen of the most popular apps including WordPress, Drupal, phpBB, and Agora Shopping Cart. Uptime is guaranteed to be 99.98%, which is above-average in the industry and a testament to Netway’s well-maintained infrastructure. Shared hosting plans have a cPanel installation for easy management. If you’re on reseller hosting, you can manage your account via WHM, which allows you access to all cPanel accounts under your plan. Netway has also partnered with Microsoft Azure and Amazon Web Services to offer Cloud VPS hosting. 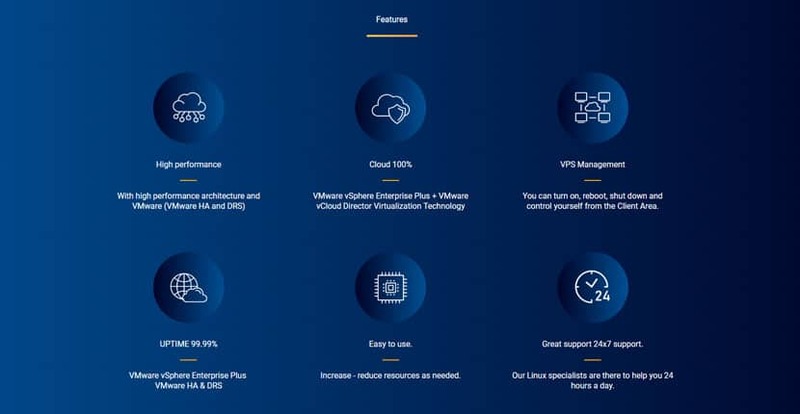 The Linux Cloud VPS plans come with cPanel and WHM installations along with a minimum of 1 vCPU core, 1GB RAM, 50GB storage, and full root access. You can also do without the cPanel and WHM installation and administrate the server directly, if you’ve got the technical knowledge and want to save some money on your hosting plan. The Windows Cloud VPS plans cost considerably more, but also have more processing power and the Plesk control panel. These start with 2 vCPU cores, 2GB RAM, 50GB storage, and the option of MSSQL databases. Once you make payment for their Cloud VPS hosting, your service can be deployed within 10 minutes. Thereafter, you can opt to manage the VPS yourself, or pay a monthly fee for Netway to do so. Netway guarantees an uptime of 99.99%. If you’re moving your website to their Basic or Cloud VPS from another hosting provider, Netway offers a free migration service – and will work to ensure as smooth a transition as possible so that any downtime is minimized. The same applies to existing customers on their shared hosting packages. Considering the features and resources included, Netway’s packages are highly affordable. If you choose their shared, reseller, or VPS hosting packages and you opt for a contract term of six months or longer you will be given a discount. Their Economy shared hosting plan limits you to a single domain, but every other plan above that includes unlimited domains. Whether you’re creating a small personal website or a multimedia-heavy corporate website, Netway definitely has a well-priced plan that suits your needs. Changing plans is easy with Netway, but still requires you to contact their customer support. They’ll handle the entire process including website migration if necessary. Netway has different levels of service depending on the hosting plan you purchase from them. Each range of plans has its own SLA for customer support. Netway offers round-the-clock support via email and phone. These channels are available only in Thai, however, so non-Thai customers may encounter a language barrier. Few Thai hosting providers offer the extensive range of plans and well-developed infrastructure that Netway does. Whether you’re a small Thai business launching a basic website or a large corporation looking for an enterprise-grade hosting solution, Netway is a good bet. Wondering how Netway stacks up against other Web Hosting companies? Enter any other Web Hosting company and we will give you a side-by-side comparison.